CASSINI Spy - Felix John COLIBRI. 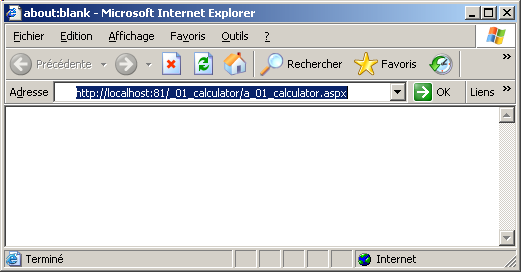 When debugging ASP.NET applications, it is very helpful to display the content of the information exchanged between the browser (Internet Explorer) and the Web Server (CASSINI or IIS). 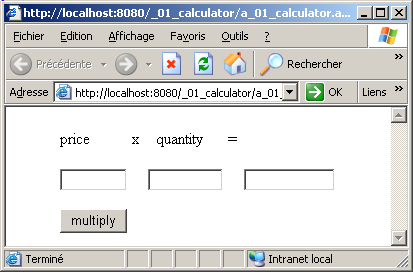 ASP.NET can log all kind of information, but the content of what is exchanged between the Client and the Server is not, as far as I know, available. We first tried to use our own TCP/IP Sniffer. But since CASSINI works on localhost, the packet do not travel up to the Ethernet Driver, where the Packet Sniffer would catch them. So the alternative we found was to build a specific tool that we will present now. We showed Internet Explorer, our spy and Cassini on 3 different PCs. In fact, Cassini is by definition a LOCAL Server. It can only handle request from a browser on the SAME machine. So our figure should represent everything on the same PC. But the idea is the same. 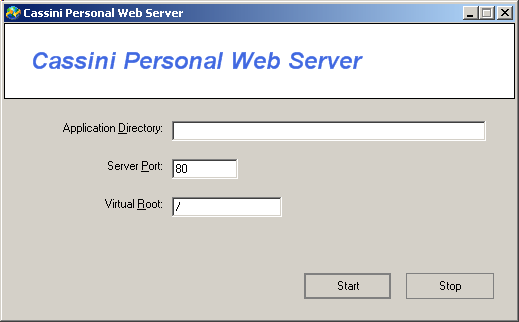 It is possible to use the standard Delphi tServerSocket and tClientSocket components. 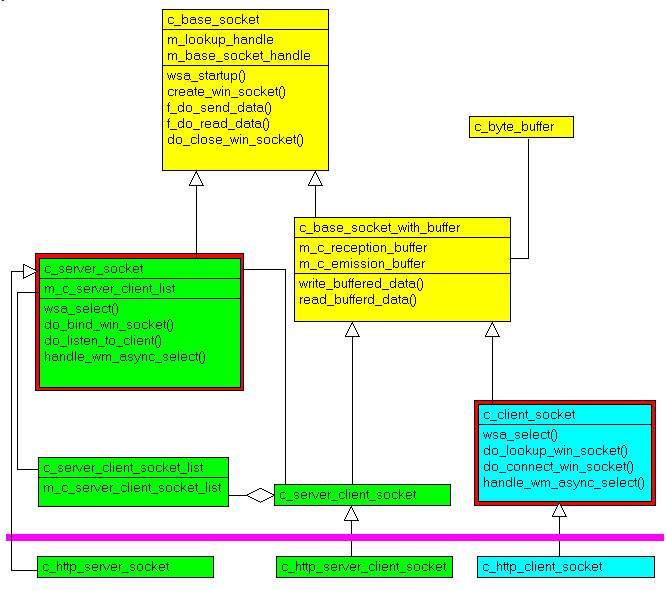 You may look at our Delphi Socket Architecture paper which explain how to use them, with a sample file transfer project. We can also use our own Socket components, which were presented in the Simple Web Server paper, or any other Socket library (ICS, Indy, Synapse or whatever). and at the bottom of the figure are our three sockets. 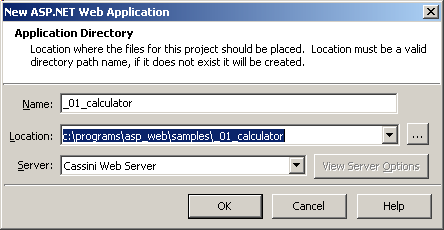 2 TextBoxes where the user enters 2 values, a "calculate" Buttons which submits the input values, and a result TextBox. 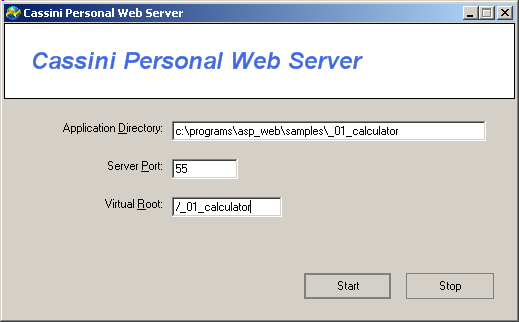 start Delphi, select "New | ASP.NET Web application - Delphi for .NET"
using "File | Save as" (or the project manager) rename the page "a_01_calculator"
style="Z-INDEX: 1; LEFT: 54px; POSITION: absolute; TOP: 62px"
style="Z-INDEX: 2; LEFT: 142px; POSITION: absolute; TOP: 62px"
style="Z-INDEX: 3; LEFT: 238px; POSITION: absolute; TOP: 62px"
style="Z-INDEX: 4; LEFT: 54px; POSITION: absolute; TOP: 102px"
style="Z-INDEX: 5; LEFT: 54px; POSITION: absolute; TOP: 22px"
style="Z-INDEX: 6; LEFT: 126px; POSITION: absolute; TOP: 22px"
style="Z-INDEX: 7; LEFT: 150px; POSITION: absolute; TOP: 22px"
style="Z-INDEX: 8; LEFT: 222px; POSITION: absolute; TOP: 22px"
Delphi saves the files, starts Cassini, and calls Internet Explorer with our page as an address. enter two values, 15 and 3 for instance, and click "multiply"
Thats the standard Delphi way of building ASP.NET applications. But what was exactly exchanged between Internet Explorer and Delphi during those steps ? Well, enters the CASSINI SPY ! <- | <input name="TextBox1" type="text" id="TextBox1"
<- | <input name="TextBox2" type="text" id="TextBox2"
<- | <input name="TextBox3" type="text" id="TextBox3"
<- | <input type="submit" name="Button1" value="multiply" id="Button1"
<- | <form name="_ctl0" method="post" action="a_01_calculator.aspx"
<- | <input name="TextBox1" type="text" value="15" id="TextBox1"
<- | <input name="TextBox2" type="text" value="3" id="TextBox2"
<- | <input name="TextBox3" type="text" value="45" id="TextBox3"
<- | <input type="submit" name="Button1" value="multiply"
This utility was built in on day. 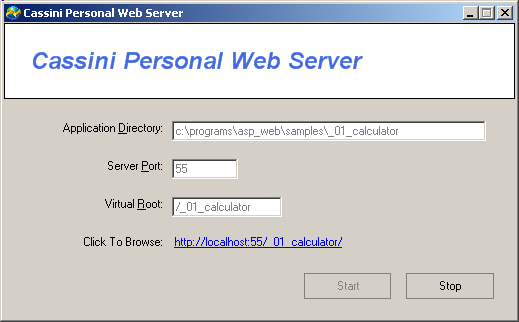 We have the tool, and will use it in the our forthcoming ASP.NET tutorials. To change this into an "industrial strength" tool would require the addition of some automatic invocation: when the developper clicks "Run", we should force Delphi to launch our tool, and the SPY in turn should start CASSINI. The Pascal code uses the Alsacian notation, which prefixes identifier by program area: K_onstant, T_ype, G_lobal, L_ocal, P_arametre, F_unction, C_lasse etc. This notation is presented in the Alsacian Notation paper.